Wood-burning fireplaces come in a large variety of sizes, efficiency ratings and heating capacities. Whether your remodeling, adding on to your existing home, wanting to add an additional fireplace to an existing home or in the new construction phase of your project, one of our fireplace specialists can help guide you to the fireplace that is right for you and your home. Check Out our FULL LINE-UP of one sided wood-burning fireplaces. These units are available from 36" wide up to 48" wide. 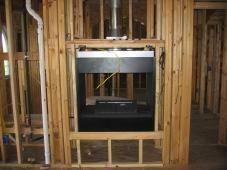 Wood-burning fireplaces are available as a Radiant or Heat Circulating Unit. The Depth of a fireplace depends on the width of the opening but ranges from 12" - 24" deep. These units also have other options like a Forced Blower, Glass Door Kits and you can even change your Firebox Interior pattern if you wish. We carry and stock a wide variety of Chimney Pipes, Firestops, Chase Tops, Storm Collars and Chimney Caps. 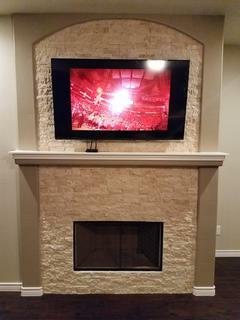 Give us a call at 281-316-9077 and talk with one of our Reps to help meet your fireplace needs. "Why Go Anywhere Else". 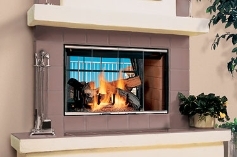 See-Through Wood-Burning Fireplace also referred to as Two Side Fireplaces are also available in Pre-fabricated units. These units are exactly what they imply, you can see through them from one room to another. Please call us at 281-316-9077 for details as these units are not as flexible as the one sided fireplaces and require extra framing and planning for proper installation. 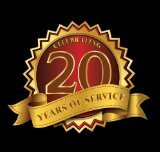 Remember, Chim-Chimneys provides installation and carries a wide selection of Chimney pipe, Firestops, Chase tops, Storm collars and Chimney caps to help with your remodeling or new fireplace installation needs.